China International Machine Tool Show (CIMT) founded by China Machine Tool & Tool Builders’ Association in 1989 to be held in each even year is the most prestigious international machine tool exhibition in China. It’s one of the four famous World International Machine Tool Exhibitions along with the EMO (European International Machine Tool Exhibition), IMTS (Chicago International Machine Tool Fair of America) and JIMTOF (Japan International Machine Tool Exhibition). Through more than 20 years’ development, the international status and influence of CIMT have been continuing to improve becoming an important venue for exchanging international advanced manufacturing technology and trade. It has become the platform displaying the latest achievements of modern equipment manufacturing technology. It’s also the vane and barometer of development and progress of China’s machinery manufacturing technology and machine tool industry. 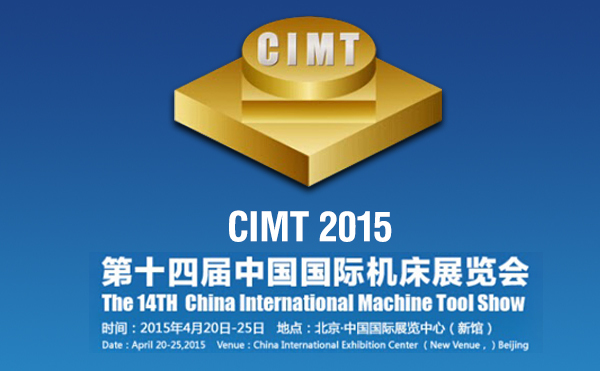 CIMT brings together the most advanced and applicable machine tool products of the world, and for domestic buyers and users it’s an international investigation at home.